Vendors face off in a food competition. 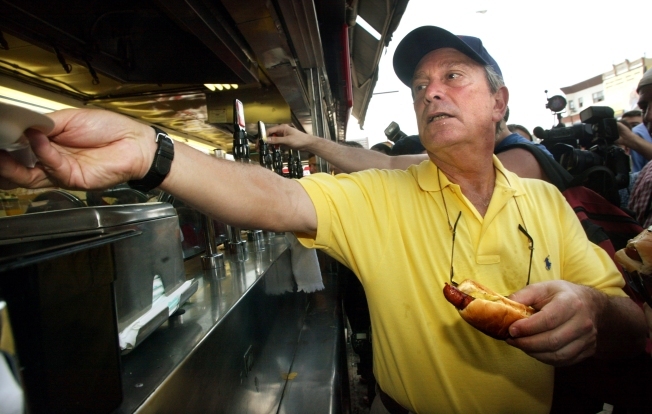 New York City Mayor Michael Bloomberg likes hot dogs. Maybe he'll go to The Vendys. Food lovers rejoice: the Vendys are back. The intense cooking competition that pits street vendors against each other in a contest to see who cooks the best sidewalk grub in New York City will take place tomorrow at 2 p.m. at Flushing Meadows Corona Park. Many contestants in the competition were chosen in a public nomination at the food competition Web site. Finalists range from waffle makers to Mexican food cooks. There will be beer, wine, music and performances. Of course, food will be available, but wear comfortable shoes because lines are long. Getting to the park is a breeze. It’s just a 25-minute ride from Manhattan on the No. 7 train and a 5 minute walk through the park to get to Queens Museum of Art, where the competition is. Tickets are sold out, but the Web site says there may still be a chance to purchase tickets at the door. Tickets range from $80 to $150, depending on what the services are included or when the ticket is purchased. Children under 8 get free admission. The tickets are tax-deductible and goes to the Street Vendor Project, a non-profit that help vendors’ rights.